Is the last photo taken in the train station featured in last year’s movie Hugo? I love how the colors are both saturated and muted at the same time and I especially love how Paris has really stood the test of time. Fewer people, but it’s still…you know, Paris. So stunning. Those colors. I just can’t get over them. Gasp worthy. Right? 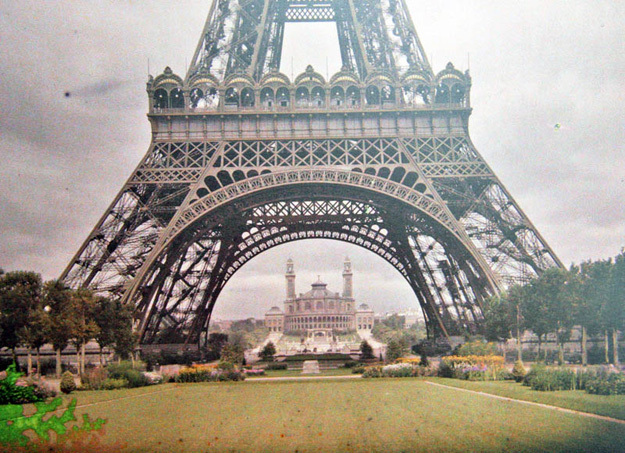 Paris is so iconically PARIS that you can recognize it in a heartbeat. Thank you, Baron Haussmann. He renovated and redesigned Paris to become what we picture it as today (all those slanting zinc roofs and pale stone buildings). I can’t wait to dive into “Haussmann, or the Distinction” the novel I bought recently that goes into the entire process. So fascinating! That last photo is amazing!! Either crinoline skirts and boater hats need to come back or someone needs to get on time travel! I sighed out load looking at these pics. Thanks for sharing!! 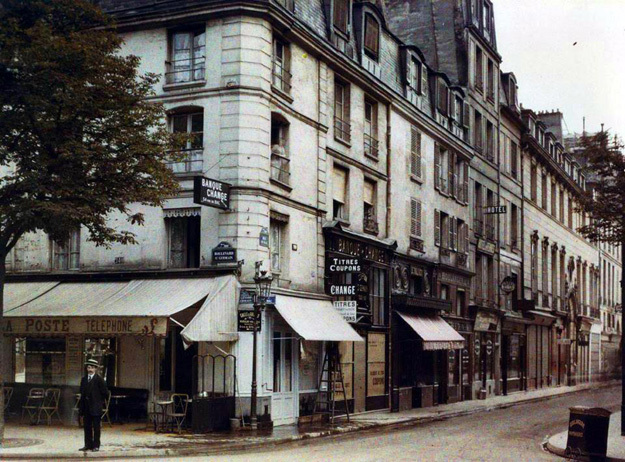 what strikes me most is how little paris has changed… still instantly recognisable! such brilliant planning on their part! and you know what… i think i lived back then… in another life… it all feels so familiar… maybe i was that flower girl! those are so amazing – they must be hand painted. such a painstaking process i don’t know how people do such things. they are absolutely mesmerizing though. i would take a copy of each of these. I’m for sure swoooooooning as well!! I often think about this as well. Leggings have come back…why can’t these dresses? I think the headpieces are starting to make an appearance from this time period…I guess we shall see! These photos are definitely swoon worthy! They don’t even look real they look so magical and posed. I’m going to peruse the other photos for a while, taking it all in because they are gorgeous. gorgeous! i’m sold. lets move to Paris! 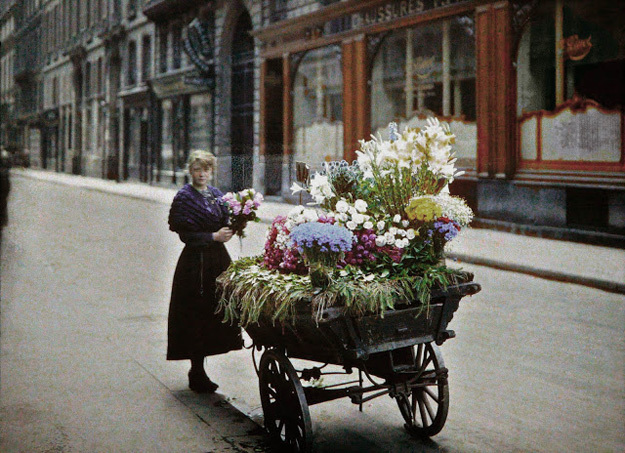 That picture with the flower cart is really awesome – a tad bit creepy and a whole lot of fabulous. I never really saw a macabre/creepy undertone to these, but you’re right; everyone in them is long dead. God I love photography. These are gorgeous, Erin. 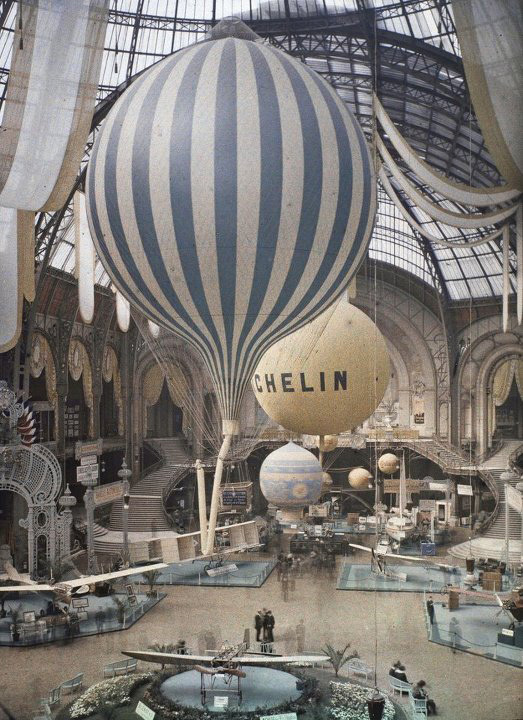 I wish I could better articulate the beauty of these vintage photographs. All I keep thinking about is French films like The City of Lost Children or Delicatessen, for some strange reason. Not to sound completely cheesy, but have you seen the Taylor Swift video for her song, Begin Again? It’s filmed entirely in Paris, and I thought you. 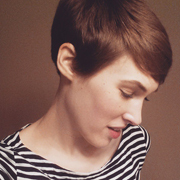 Oh Erin, these are absolutely stunning! 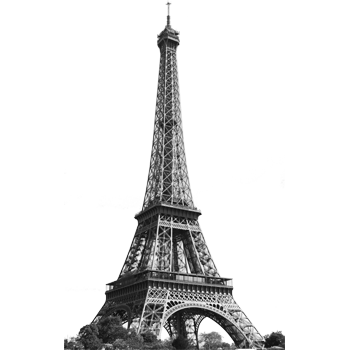 I can’t wait to see your Parisian perspective! It’s soon now isn’t it? Boater hats made a brief come back a couple of summers ago here in London and are actually still around (posh schools have them as part of their school uniform), and I’m sure you could bring back crinoline skirts? Yep, coming up in just a few short weeks! I think 6 or so? Maybe even 5? I CAN’T WAIT! Haha, can you tell?? I’m most excited about taking photographs there, is that crazy? I don’t want to live behind the camera and miss the whole experience, but I’m also so anxious to take some photos! The photos are so charming! Love the last photo, those stairs are amazing. I would love to stride down them one time. Do you know if that building still exist? Amazing pictures! 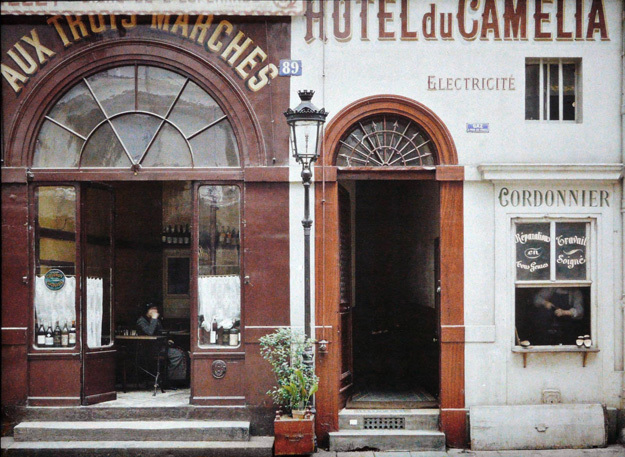 The funny thing is that some parts of Paris look kind of the same as they did 100 years ago. Only that there are modern cars, traffic signs and the people dress differently.